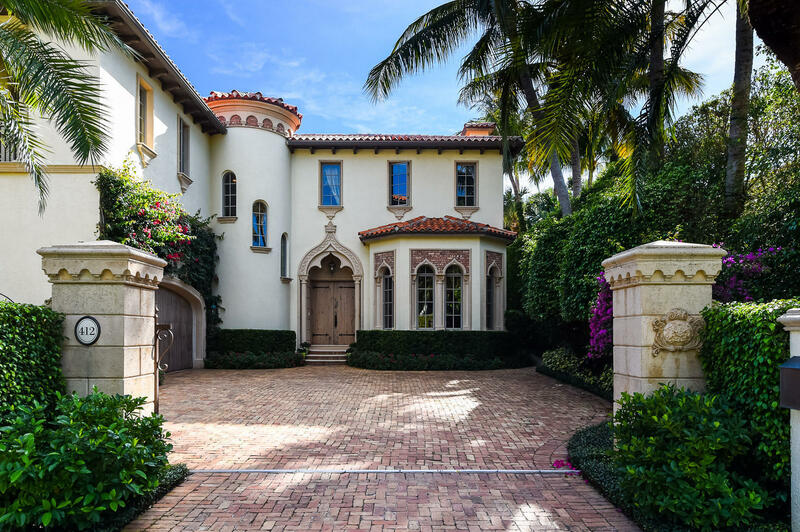 Outstanding desirable in town Mediterranean residence with exceptional details throughout, high ceilings, beautifully detailed moldings, fireplaces, formal living and dining rooms, gourmet kitchen with adjoining family room, all overlooking the pool and patio. A dramatic winding staircase leads to the grand master bedroom with two baths en suite, sitting area and private terrace. There are 3 guest suites with private baths. House has a total of 5 bedrooms, 6 and a half baths.